There are so many ways to make creative, comfy pillows just in time for all those holiday house guests that are sure to start showing up soon. From no-sew pillows, to sparkly pillows made from an old dress, to Christmas-themed pillows, the sky really is the limit for crafting your own pillow. 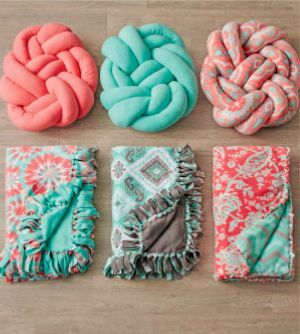 It doesn't have to be complicated, and they'll be super easy to change out with the seasons or even to match a corresponding throw this fall and winter. Easy, fast and inexpensive. Check. Check. Check. My Sister's Suitcase shows us just how easy it is to make your own sparkly pillow. 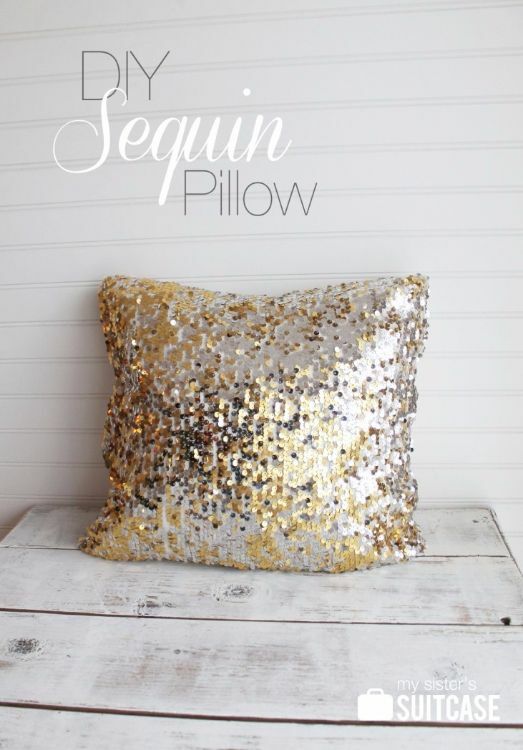 Just a few cuts and the teeniest, tiniest bit of sewing, and you have a high-end looking sequin pillow. It's basically free. 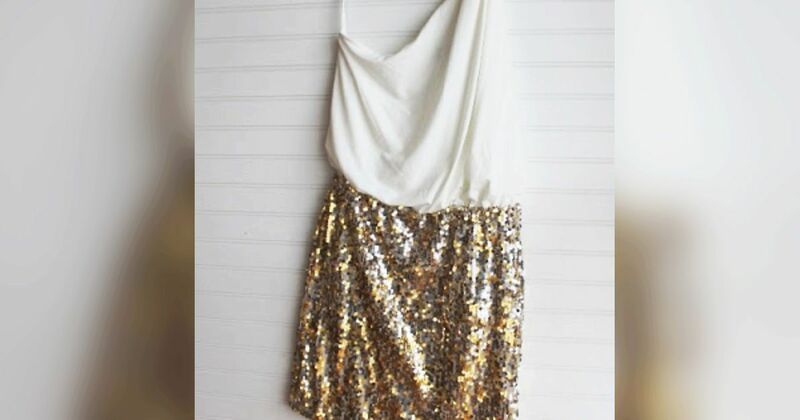 You could always search for something sparkly at the secondhand store or even get some fabric if you'd like to try this out and don't happy to have this kind of a dress. 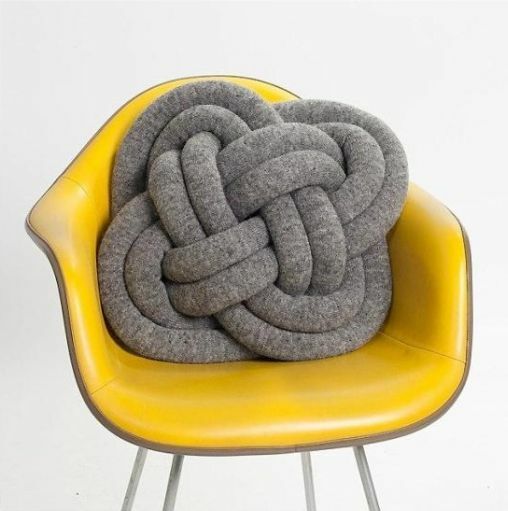 If you can tie a knot, you can make this pillow from Fab DIY. It's just a few simple twists of fabric, and you are sure to impress anyone who comes over this holiday season. It only takes about 10 minutes to make this pillow. Just toss it on a couch or in a chair and sit back and "oooh and ahhh." Joann shows us how to make these knotted pillows. This is all about getting the stuffing right. There are a few expert tips for how to make these look perfect and have fun while you're doing it. You can put together several color choices that will stand out in any season. It doesn't get any easier than this pillow tutorial at All Day Chic. Have some mismatched pillows that don't go with your new guest duvet cover? Embarrassed by your old, brown pillowcase in an otherwise bright, cheerful room? 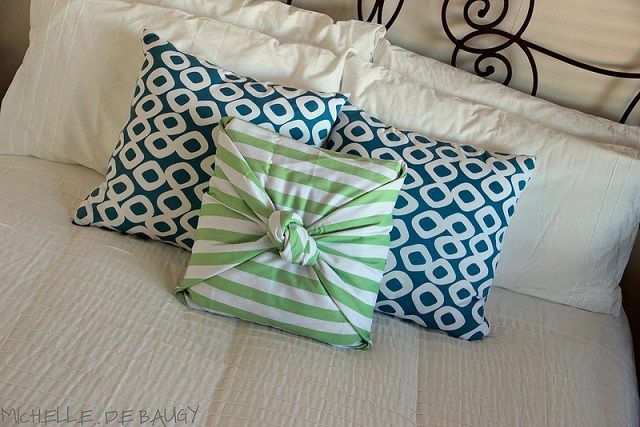 All you have to do is strategically fold and knot one piece of fabric, and you have a beautiful, new pillow cover! On Sutton Place runs down how to make this easy, no-sew pillow. You can choose any fabric or really even any shape for your decorative accents. 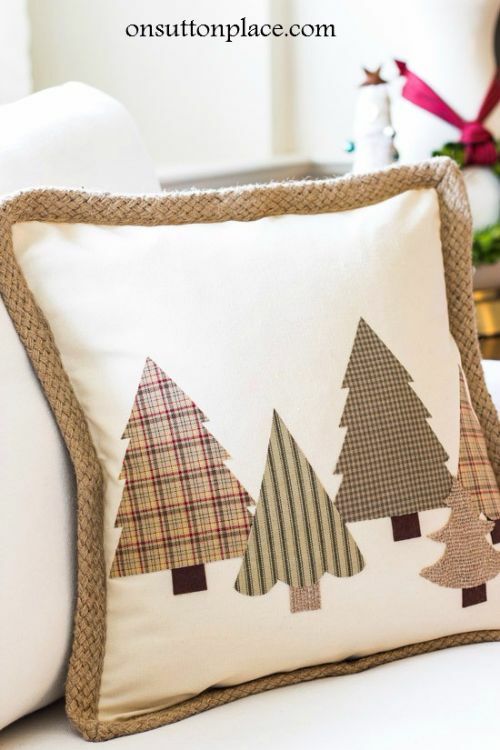 The creativity is up to you, and this pillow is so easy to make, you will want to make many more for every season in your home! Which pillow project are you most inspired by? Tell us in the comments and please don't forget to SHARE these ideas with others. Happy crafting!